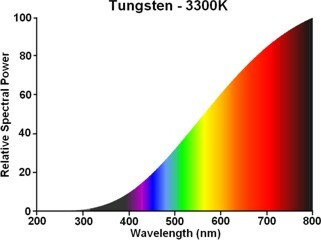 The earliest tungsten halogen were made in the form of a linear quartz tube, pinched closed at both ends around an axial filament. While this arrangement was perfectly suitable for large area floodlights, they lacked the point-like nature of conventional lamps. Additionally, their production required the fabrication of two glass-to-metal seals, which were rather difficult and expensive to form at this time. In 1961 the work of J.A. Moore at the Hirst Research Labss of GEC at Wembley was published, in which H.G. 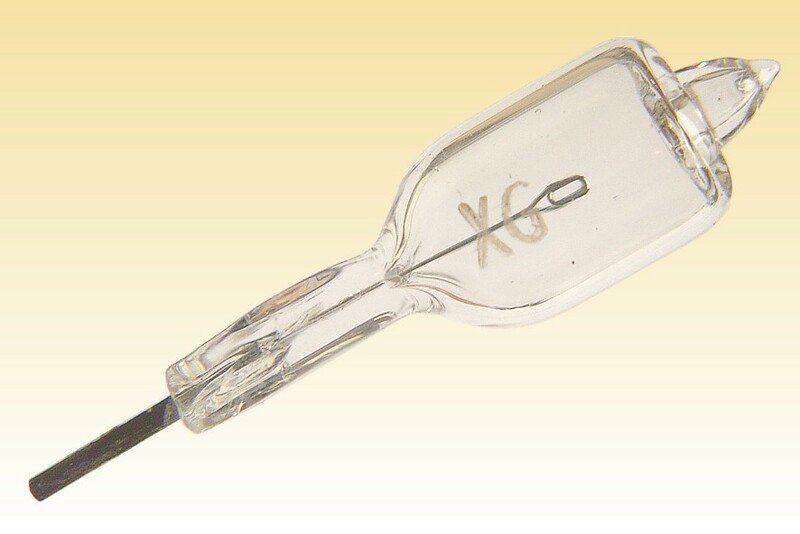 Jenkins presented the company's invention of the Single Ended Low Voltage halogen lamp. By pinching both tails of the filament into a single seal the contruction was simplified, and the introduction of a low voltage filament made the lamp remarkably compact. The world's first lamp made according to this design was the type A1/215 (FCR) shown here. It is a 12V 100W capsule having a flat mandrel filament, intended for slide projection applications. 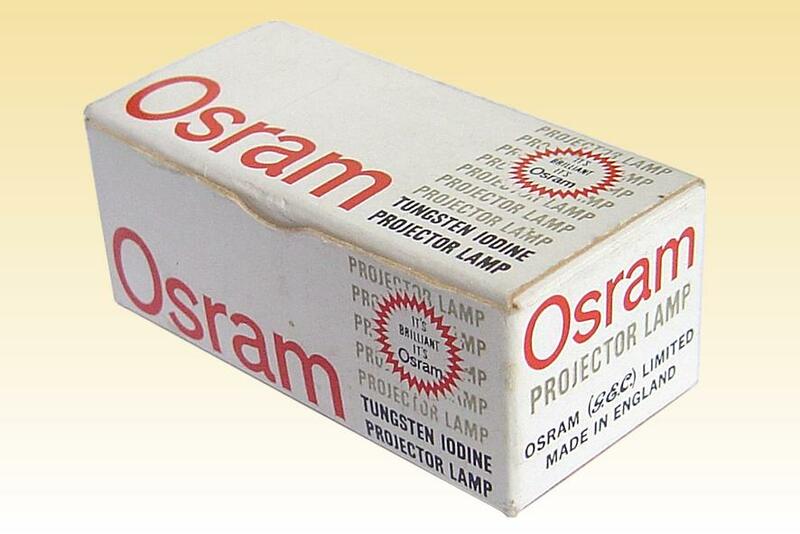 The GEC promoted this new innovation to the UK projector manufacturers such as Aldis, but astonishingly they showed little interest. 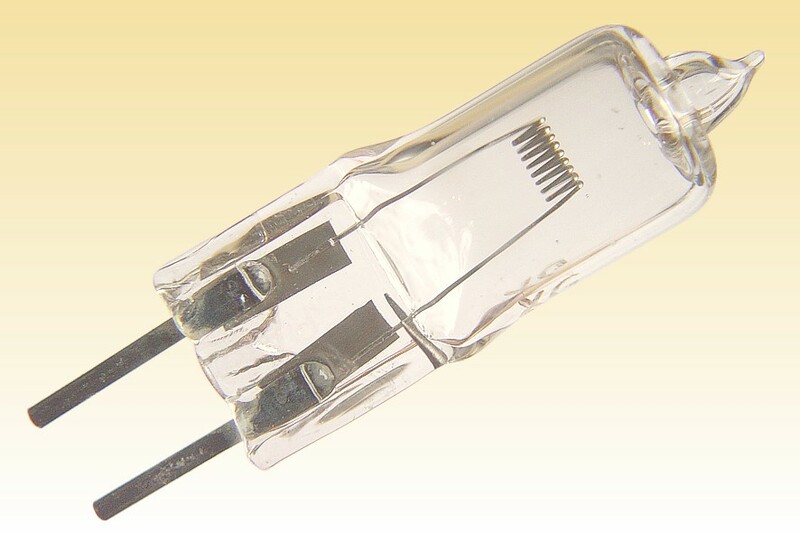 The company therefore focussed on the retrofits market supplying adaptors such as the type illustrated here, which allowed them to replace various incandescent types such as the A1/186 and its pre-focussed version, the A1/193. Curiously the European manufacturers showed much more interest in halogen lamps, and here Thorn Lighting had stronger contacts. It ably exploited the GEC's single ended concept and was first with a halogen lamp for 8mm cine projection, produced for Eumig. GEC meanwhile went on to achieve a position of leadership in other markets, such as the use of these capsules in airfield and automotive lighting. Max. Overall Length: 44 mm 1 3/4"
Light Centre Length: 30 mm 1 3/16"